This mound on the western edge of Comrie is fairly unremarkable now, but may well have been the site of a stone circle. 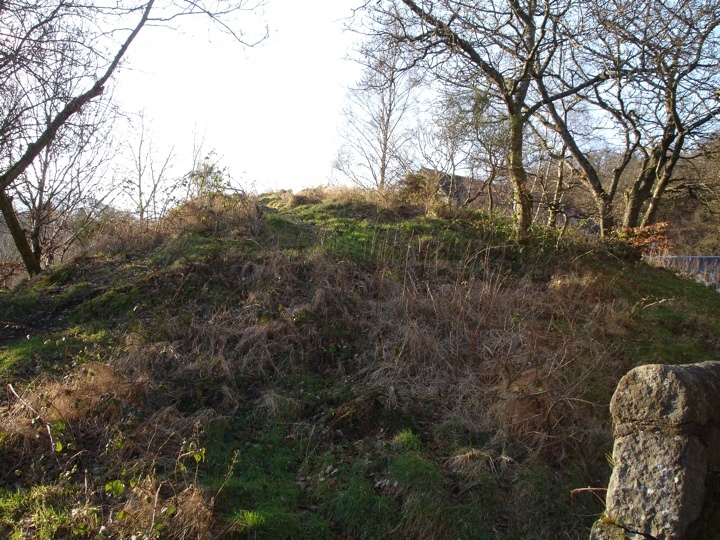 Fred Coles was told by several residents of Comrie that their forebears had told of “several great stones forming a rudely circular group” on top of Tom na Chessaig . There is apparently a large whinstone still at the site (at NN 7701 2205) which may have been one of the standing stones, although I couldn’t see it. Legend has it that the rest of the stones were destroyed at the time the nearby church was built. Interestingly, there is a reference in the Old Statistical Accounts to a “druidical temple” near Comrie which was destroyed around 1784, and the stones used in the building of a house. This may well have been the circle on Tom na Chessaig . Where is Tom na Chessaig? Tom na Chessaig is in the parish of Comrie and the county of Perthshire.